Native speaker here, and recently I got into a discussion with my pops about the word 'signage'. His contention is that the word 'signage' is entirely superfluous and is only used as a $5 alternative to the word 'signs'. My contention is that there may be (maybe not, too) a valid reason for using signage instead of signs. According to Merriam-Webster, the word signage was first seen in 1976, which makes me think he may be correct - after all, if it were grammatically correct, one would think it would have appeared alongside the word signs. If it is grammatically correct, why would signage have taken so long to appear? Is there something inherently different in how we think about our signs in modern times? Based off the definitions from Merriam-Webster (Signage; Sign), signage refers to the conveyance of the message—icons, words, arrows—whereas sign refers to the display itself. 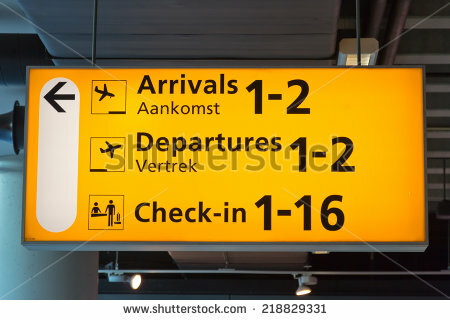 In the above image, the entire yellow block is a "sign" whereas the planes, people, arrow, and words are "signage". In certain contexts, signage and sign can be interchangeable, but they have their own distinct meanings. Not the answer you're looking for? Browse other questions tagged meaning signage or ask your own question.